Mortgage Arrears, Debt Management Or Low Score. Missed Credit Bills, Defaults Or County Court Judgements. Refused Mortgage Help - Low Income, No Credit Or Not On Voters. Being declined for a mortgage by your bank or a high street lender does not always mean that no mortgages are available to you. Our UK mortgage team have successfully completed competitive mortgages & remortgages for those who have been let down by others. In over 25 years of being in the mortgage & remortgage sector we have completed mortgages for a multitude of clients across the UK, even if they had been refused a mortgage elsewhere or believed that they may be rejected if they applied. If you unfortunately have one or more of the common issues listed below which could prevent you from obtaining a mortgage or remortgage, then read on to understand in more detail what may cause a refused mortgage enquiry and how to potentially get approved for a mortgage. Our clients have already obtained over £1 Billion in mortgages and many of them had been let down elsewhere. Now since the Bank of England base rate is so low at just 0.50% we are seeing some of the best mortgage rates across the lending spectrum. To get your facts and figures please complete our short no credit check online enquiry form to find out how we can help you and get a free confidential quotation - Alternatively call free on 0800 298 3000 / dial mobile friendly 0333 003 1505 and talk through your scenario with our mortgage team. It is important to be aware that rejection doesn`t necessarily mean that no other mortgage lenders will accept your mortgage application. This is because there are a lot of lenders & they all have different criteria - some want to lend to UK consumers who have adverse credit or a low credit score, so you could get that remortgage or mortgage afterall. Whether you can afford the mortgage boils down to some key information, essentially your total household income and expenditure. What we mean by this is how much money is coming into the household compared with how much you spend each month. By assessing this the lender will determine whether they think you will be able to afford the monthly repayment. You can help here by reducing optional items or cutting down on variable expenses such as leisure shopping. Lenders will look at how you conduct credit accounts such as personal loans, credit cards and bank accounts to see how you meet your commitments. If you already have a mortgage the conduct of the payments on this over the last 24 months will impact on your new mortgage options. How you have conducted your previous credit history can be a good indicator for the lenders as to how you may pay your mortgage in the future and is a big factor of a lender`s basic criteria. A newer feature of some lenders approach is to be more wary of clients who regularly use or have recently used pay day loans to borrow money. It is a given that lenders want to know where you have been for at least the last 3 to 5 years. So you need to get onto the voters roll if you are not already. Some lenders will work on you being able to provide bills as proof of address going back for the time frame needed, but this is not ideal nor always easy to dig out the proof you need. 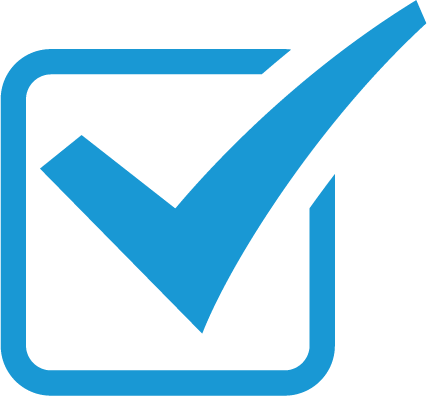 Alongside this if you had credit items at your previous address - perhaps some shared credit cards, Higher purchase, loans or bank accounts with a previous partner - then if you are still named on those credit accounts the conduct of them will form part of your credit profile. Carrying out a self search with a main stream agency like equifax will often show you if you have any linked credit and whether it is up to date or not. Smaller and older defaults or ccj`s may be ignored by some lenders when they are for small amounts and / or over 4 to 6 years old. If you are looking at a mortgage it will usually either be to remortgage (i.e. 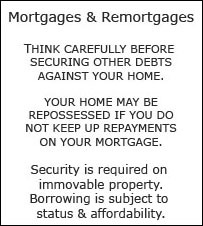 borrow money on the house you already live in and own / have a mortgage on) or be a purchase mortgage (i.e. borrow money to purchase a different home or buy one you currently live in and rent). In both scenarios the lower the equity levels you are asking money to be lent to you at the better. So if purchasing a home, the bigger the deposit the better. If you have 15% to 30% deposit, or more, there will be a lot more lenders interested and the rates will also usually be more competitive. If you have a 5 to 10% deposit you are looking at borrowing 90 or 95% of the house value via a mortgage, so the lender has less security ergo less lenders are available and the rates may well be higher. If remortgaging your home the lower your loan to value the better. This is the proportion of the amount you wish to borrow compared to what your house is worth. Mortgage deals tend to be banded so borrowing at 80 to 90% loan to value will often be more expensive than borrowing at 70 to 80% loan to value and so on. Our team will explain how this affect your particular mortgage possibilities. Your age (many lenders have upper age limits in the late 70`s), your property construction (certain concrete has limited lender options) or your income type (self employed for less than one year or short term agency work may be restricted) - among others. These are just a handful of the different mortgage criteria aspects and there could be a number of other reasons why your mortgage application was not successful. If you want to find out if we have a mortgage lender product for you or even if you just want some guidance on what to do next, have a no obligation conversation with our adviser team on freephone 0800 298 3000 and let us see if we can help you get the mortgage or remortgage you would like. 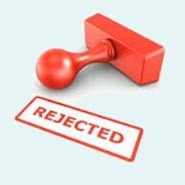 What Do I Do If My Mortgage Application Has Been Rejected And I Don`t Know Why? The first steps to take are to ask or try to establish exactly why your mortgage application was declined. Beginning to understand the reasons why your mortgage application was rejected can help dictate the steps you take going forward, either to find a mortgage application that will accept you or to get your finances on the right track for the future. If you cannot get the information from the lender you have already been declined by then if you give us a call we can send you a link to enable you to view your credit profile without creating another search and so you can see what may be causing the issue. It is a requirement for you to be able to view your own search from a credit reference agency and this one charges you two pounds as a one of fee only. We do not receive any of this of course nor will we see what you see without you deciding to send it to us, but having your credit file to hand will help us match you to the right mortgage product rather than being rejected. One of the most common reasons for your mortgage or remortgage application being turned down is often down to your previous credit history, or not oddly enough not having any credit history. If you have had adverse credit in the recent past, approximately four years, it is possible that you will be rejected from conventional high street lenders. Fortunately here at First Choice Finance we have access to many specialist lenders who will provide a variety of mortgages for people with poor credit, or lacking any credit history, with some deals that you cannot obtain by going direct to a mortgage lender. 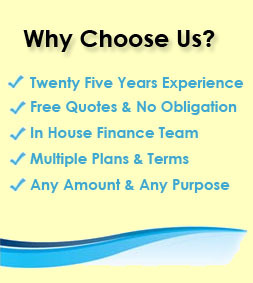 We can even look at arranging remortgages for poor credit for debt consolidation or to clear your adverse credit. The aim is to get you back in a situation where you can maintain your payments and even potentially help to rebuild your credit record. For more information on our poor credit mortgage lenders contact our friendly UK team on 0800 298 3000 (freephone) 0333 003 1505 (mobile friendly). What is crucial is to ensure that you do not simply approach every mortgage lender that you know to try and get your application accepted, it isn`t widely known but unfortunately frequent applications that involve credit searches, known as DIPs - `Decision In Principle` and subsequent rejections can damage your credit score even further. To avoid this we suggest coming to an experienced mortgage broker like ourselves. With over 25 years experience in the industry your personal mortgage adviser can possibly save you time, money and could be be the difference between your mortgage application being rejected or accepted. If you are questioning why your mortgage application was rejected, the likelihood is that by working with our mortgage adviser and what you already know we can consider the mortgage lender who is most likely to give you the mortgage you need. 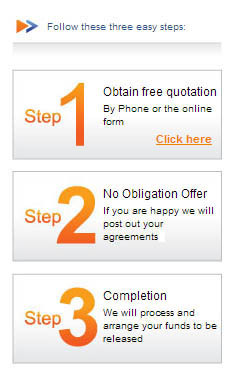 On top of that we can provide you with a free quote with absolutely no obligation to proceed so you can consider the numbers (the important bit!) before you go ahead. 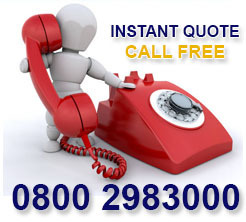 For your free quote simply fill in the 1 minute application form at the top page and we can get back to you. Increasing Your Chances Of A Mortgage Accept By Settling Older Defaults. There are many ways that you can try and increase your chance of getting a mortgage accept. If you have already been rejected from a mortgage lender, the first step is to dig about and find out anything you can from the declining lender. Then write down your credit commitments and list any credit issues or missed payments you can think off. If you are unsure what impact a certain item may have, give us a call and we may be able to explain which items may be causing the issue. Once you have this in mind you can look at the aspects you need to change to try and increase your chance of success. If you are looking to improve your credit score, there may be a number of things you can do to enhance your credit profile in the medium term, which will decrease the prospect of a mortgage application being rejected in the future. For example - If you have defaults that are getting older you may be able to negotiate with the lender or lenders to get a full and final settlement figure. This is for them to agree a discount with you to settle the account and they can then show your defaulted credit item as satisfied. More lenders will consider you if you have defaults that are showing as being `satisfied` than if you have current active defaults. The key point is you never really know if a creditor will settle unless you ask. Some of these matters can take time, so you may have to be vigilant and patient for a while to get where you want to be. One of the main issues for a potential customer can be finding these more flexible lenders, as they may only be available through an authorised mortgage adviser. 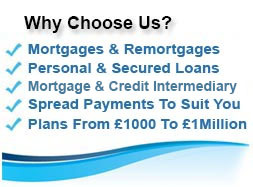 This is just one way we could help as we have access to many different mortgage lenders. Our UK based team have already arranged over £1 Billion Of Mortgages , so perhaps we really could increase your chance of getting a mortgage accepted. We work on the principal of transparency, so our advisers are happy to talk through your current scenario confidentially and will provide you with a free personal quotation where we can help - you can then make a decision with all the facts and figures in front of you. Turn the tables today and call us on freephone 0800 298 3000 or on our mobile friendly number 0333 003 1505, alternatively fill in our short online enquiry form and we will contact you at your convenience.